Military practicality meets civilian functionality. 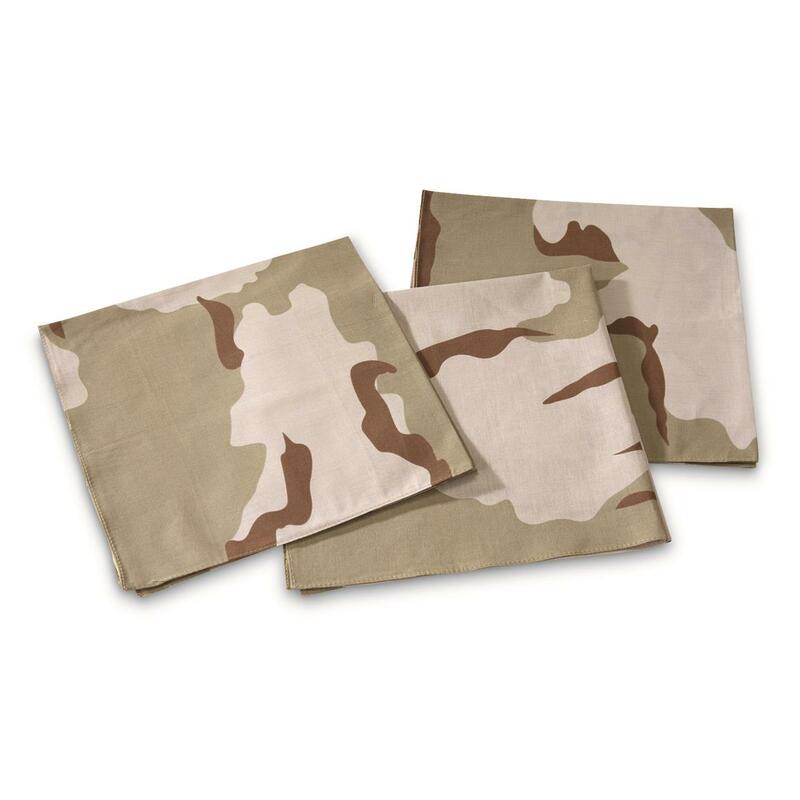 The users are endless for these Mil-Tec® Bandanas. Of course, they can be used in the traditional sense to keep your head cool and protected from the blistering sun. And that could very well be the most important use. But there are many others. For the practical outdoorsman, use them as face masks, makeshift ice packs, wash cloths, scarves, a temporary sling or even a means to carry smaller items. 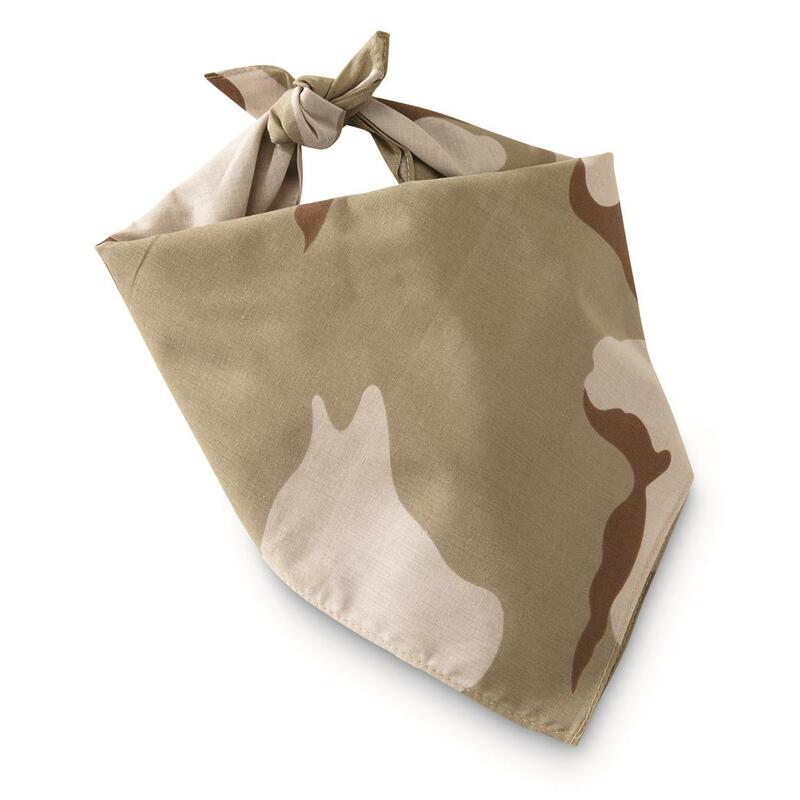 For those less adventurous seeking a use in a domestic setting, Bandanas make good lens cleaners, wrapping paper or a clever way to dress up the family dog. 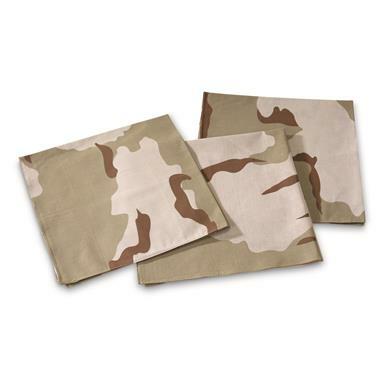 Whatever your intended use, you get three 3-color Desert Camo Bandanas in this deal.